So with Captain America comes the final solo slash origin story before the Avengers film is released next year where we will see the title character come together on the big screen to save the world with Ironman, Thor, Hulk, Black Widow and Nick Fury. Original trailers and footage of the film made it look very dated and that it might not be able to live upto the other Marvel character’s origin films. Much like all the other Marvel films, in the lead up to next summer’s film, Captain America tells the story of how Steve Rogers became the shield throwing hero and it didn’t disappoint. 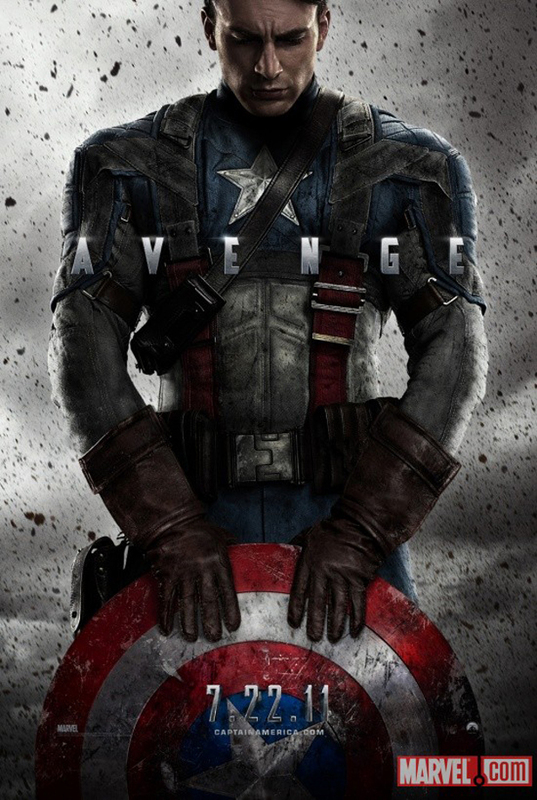 It showed the goodness in the character and why he will become the leader of the group of superheroes The Avengers. He cares for everyone, never backs down and never leaves a man behind, a born leader. The film itself flowed along nicely which was helped by the opening and closing scenes and made the film, although the majority of it being set in the 1940’s, fall in line with all the other Marvel films. The film had action, excitement, a love interest and a couple of great comedic moments mainly provided by Tommy Lee Jones, Dominic Cooper and Stanley Tucci. The main villain of Red Skull, played by Hugo Weaving and his German accent, came across as the typical crazy villain wanting to take over the world and Hugo played it as well as he could with the limited screen time he was given. For anyone seeing this film and being excited about The Avengers next year you will want to sit through all the credits as at the end there is a teaser trailer showing all of the characters in very brief glimpses coming together. It will be interesting to see how all of these big characters will come together and get on but one thing for sure is that Robert Downey Jnr will have some wise cracking lines and will once again come across as the coolest person in the world! This was Chris Evans second shot at being a Marvel comic character after previously playing the Flame-on wild child Johnny Storm from the Fantastic Four.